Good evening, dear readers, and happy hump day! It has been a particularly rough day here at the Jedi household, and I am looking forward to the weekend! One bright part about my day is that my nails look awesome, and I just had to share them tonight! If you've been reading my blog for a few months, you've already seen me using NailVinyls to create several fun nail art looks. I used the chevrons to create my nail art look for Cosmoprof North America here and again for the Llarowe store opening here. I had the pleasure of meeting Linda, the creator of this magnificent product, while attending CPNA in Las Vegas, and we have chatted almost every day ever since. 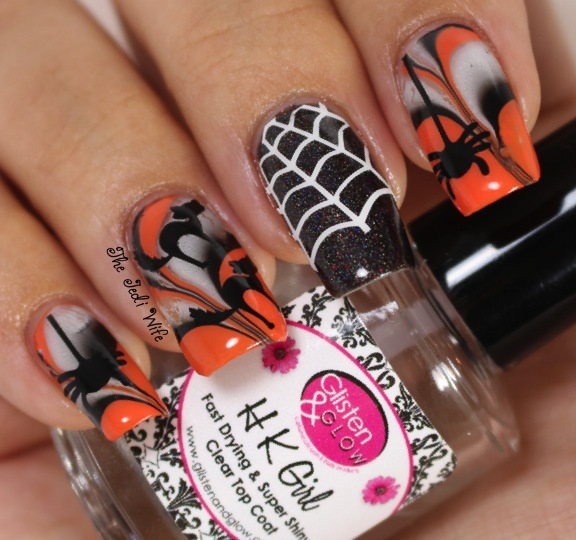 Linda knew about my love of all things Halloween, and when she asked if I wanted to try out her brand spankin' new Halloween-themed decals, I eagerly squealed a resounding "Yes!" She had already shared photos with me of one of the designs, but I still was not prepared for the mind-blowing decals I pulled out of the fabulous chevron-printed envelope I found in my mail yesterday. 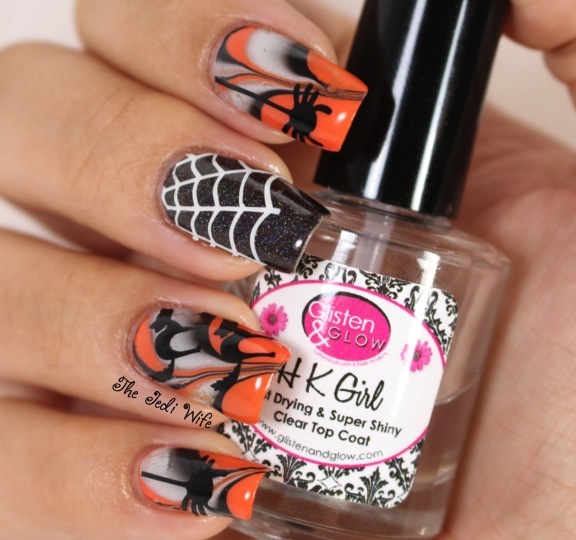 NailVinyls will now be offering Halloween decals in spider webs, spiders, and scaredy cats! I used all three in my nail art look today, so let's get to photos and then I'll share more details afterwards. I hope you're ready! Squee!!! I am loving this look, and I hope you do too! I opted to not use a white base for the water marbeled nails to give a slightly more toned down look, and I opened up areas of the water marble for a more distressed look. Also, please take note that these are all decals that are meant to be placed on the nails and sealed with topcoat, not the stencils like the traditional NailVinyls. I sealed my manicure with two coats of HK Girl topcoat by Glisten & Glow. I chose to use the large ones for both my index and pinky fingers for my manicure. Because of the large black section from the water marble on my pinky, I was afraid the smaller spider might get lost. I had to trim down the string section for placement on my pinky nail only, but even the larger spider fit nicely on my smallest nail. 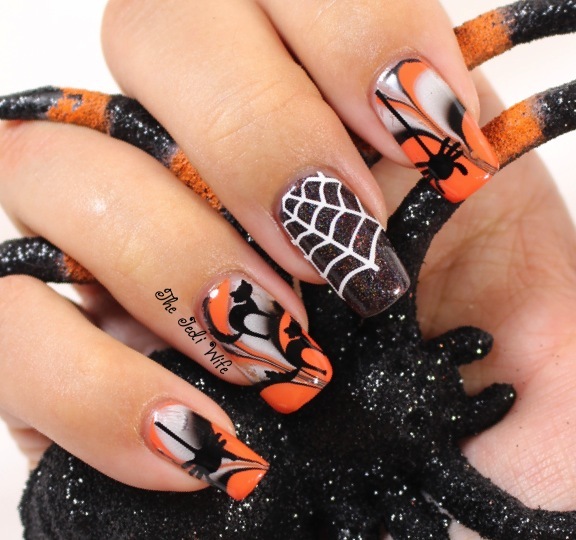 I used the medium size spider web for my middle finger, and I used nail scissors to trim a little excess along the top and one side of my nail. The Spider Web decals have the center part cut out but they are still on the vinyls sheet. I used tweezers to easily pull them out the webbing prior to placing them on my nails. All Scaredy Cat decals are the same size. Halloween wouldn't be Halloween without the black scaredy cat! 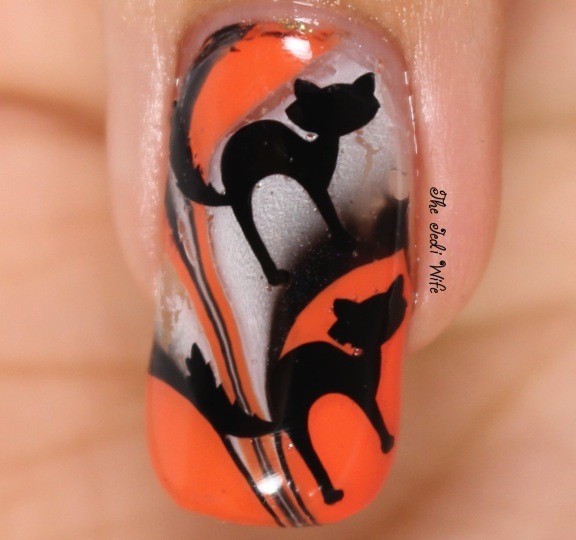 I was so excited about getting these on my nails that I completely missed out on the fact the sheet came with both left and right facing cats until it was too late. Oops! The left facing cats are the same size and cut in the same way as the right facing ones, other than obviously, they face left. A few more photos because you know I couldn't resist! 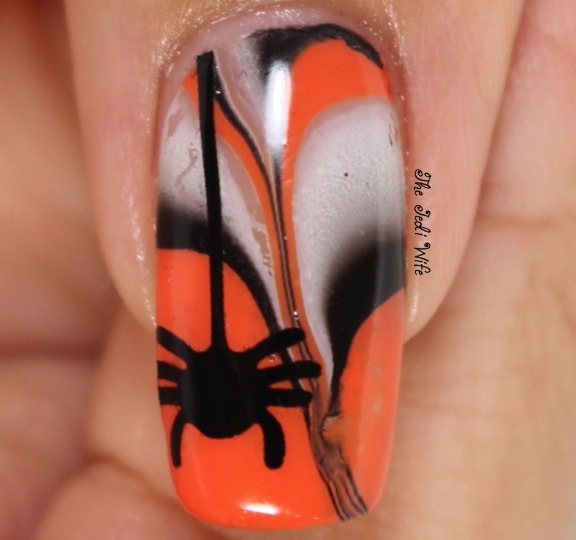 These cool Halloween decals will be launching on the NailVinyls website this upcoming Sunday, October 5th at Noon EST. Currently, these are planned to be available for a limited time, but keep an eye on the NailVinyls Facebook page and Instagram account for any changes and additional details. 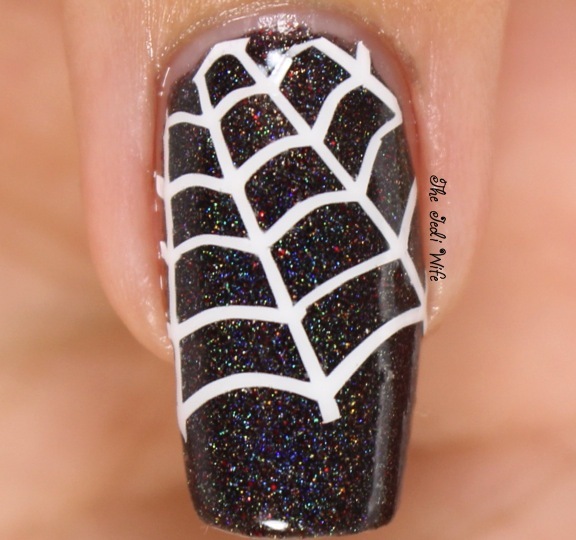 I know I am excited about them, and they will definitely be used in more of my Halloween looks this month! Darling Diva Polish: Are We On Cops? 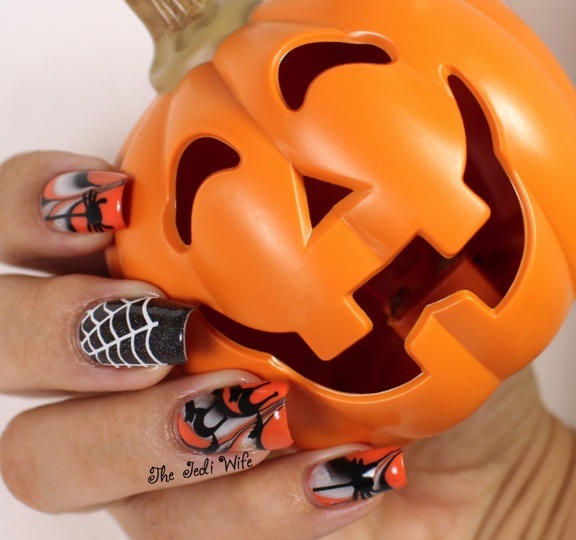 Have you started planning your Halloween manicures yet? I hope these decals have helped inspire some ideas! This man is, indeed, awesome!